This high accuracy WiFi-enabled temperature, humidity and dew point data logger can remotely monitor an environment over a -20 to +60°C (-4 to +140°­­F) and 0 to 100% RH measurement range. Data is uploaded periodically using a standard WiFi network without the need to physically collect and connect the unit to a PC. 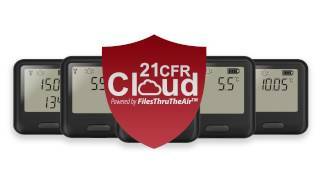 Data is streamed wirelessly to the EasyLog 21CFR Cloud.